My latest article for Stage Directions Magazine is up. “Fast, Cheap and Under Control” takes a look at how you build a prop when that prop has never been built before. I interviewed several props people for their perspectives on this particularly perplexing problem; Tom Fiocchi, props instructor at Ohio University; Lori Harrison, props director at San Francisco Opera; and Seán McArdle, worldwide freelance prop maker. Speaking of Stage Directions, I interviewed Kacie Hultgren in an earlier article about 3D printing for theatre. Make Magazine has revisited Kacie to see what she has been up to lately. Joshua Meltzer, prop master on the show Dexter, shares 14 bloodthirsty secrets from the “Dexter” set. Some of the shocking secrets? They don’t actually cut the actors with knives. 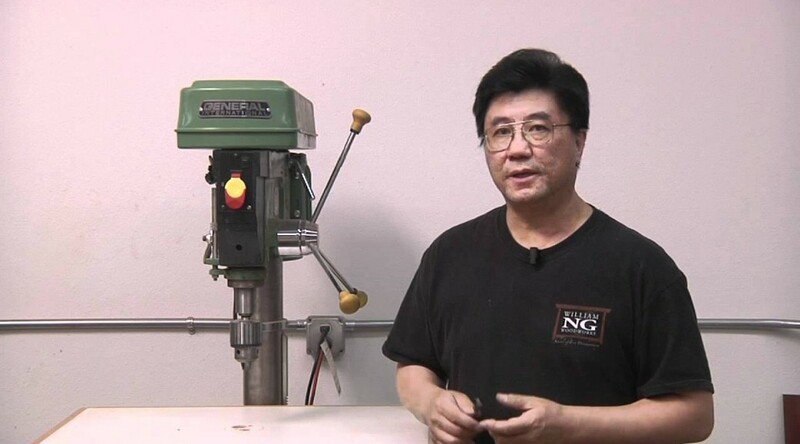 Finally, do you know the proper way to chuck a drill bit? First of all, tomorrow is Propmaster Day, so mark your calendar. At last year’s S*P*A*M conference, the office of the Mayor of Louisville presented the attendees with a plaque proclaiming July 24th to be Propmaster Day. I say we celebrate it every year. 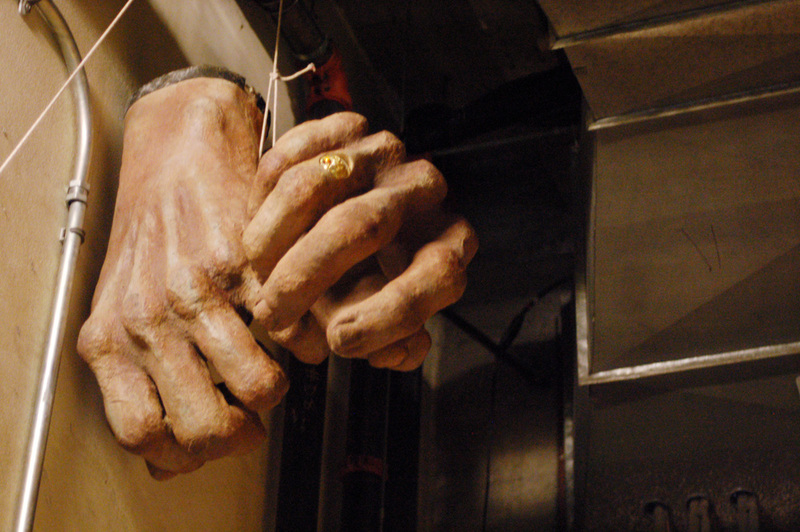 More importantly, that we keep Propmaster Day in our hearts all year ’round. As part of this year’s conference, we were given a tour of the San Francisco Opera by Lori Harrison, their master of properties. First of all, the stage is huge. They do their entire season in repertory, sometimes having two changeovers a day when a matinée and evening show are different. Ms. Harrison told us they have about sixteen people in the properties department during the season. Even though more and more operas are being brought in from other shops and opera houses, they still have a lot of work in the props department. Frequently, shops do not understand the rigors and particulars of opera, and furniture pieces need to be rebuilt. 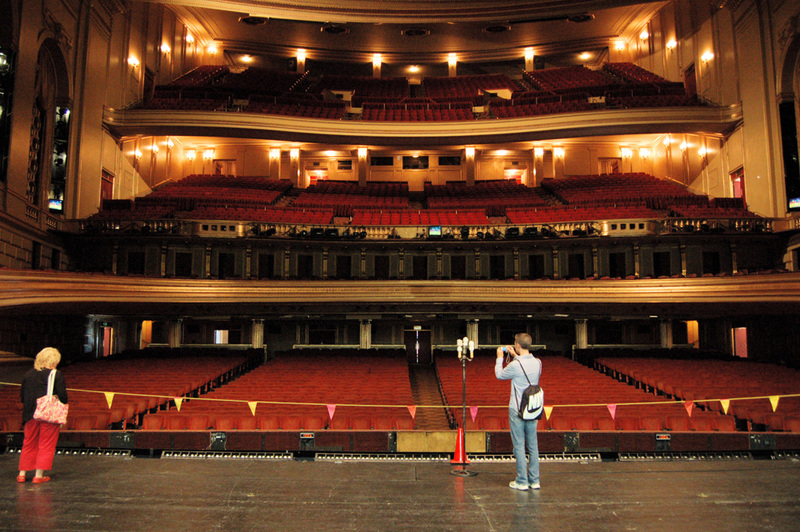 Even when props have been built for other operas, the San Francisco Opera has its own unique characteristics that may require rebuilding or adaptation to make the props fit through all the openings and passageways in the path from storage to stage. Finally, as many of us know, a bulk of the props in a show spring forth from the rehearsal process. Even an opera that was “set in stone” at another opera house will have additions and changes to the props before it is performed at the San Francisco Opera. You have to hand it to the San Francisco Opera; they have a lot of work to do and not a lot of room to do it in. Props are stored throughout the catwalks and on shelves tucked in every little nook and cranny. There is also a small hand props room for common and reusable items on another floor; in addition, they have a warehouse off-site to store larger furniture pieces. 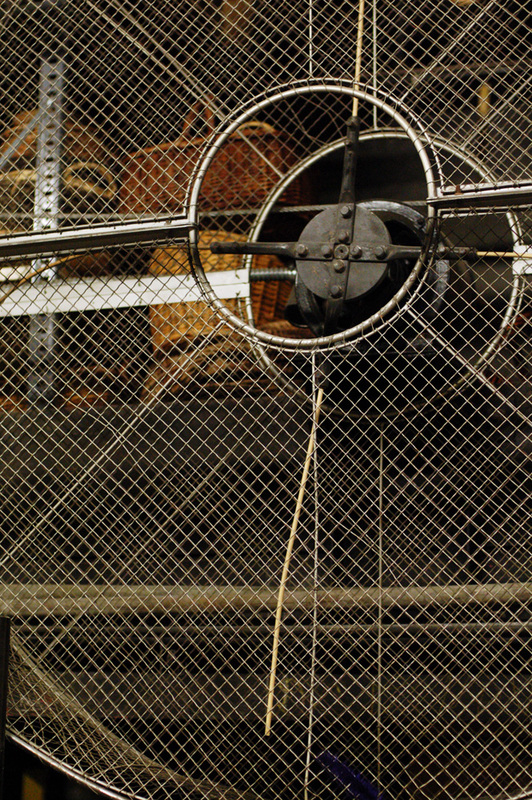 In one of these hidden corners, we came across one of the Opera’s original wind machines dating back to 1932. 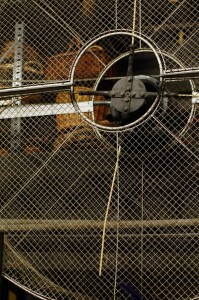 The fan was about six feet (1.8m) in diameter, and in place of blades were lengths of rubber tubing. They also stored an old-fashioned thunder machine, but it was inside a box and hanging from the ceiling. Perhaps most striking was the props shop itself; it was much smaller than the props shop at the Public Theatre, and they probably build a lot more large props from scratch, and employ a lot more artisans than us. It just goes to show that there’s always a more efficient way to use the space you’re given. 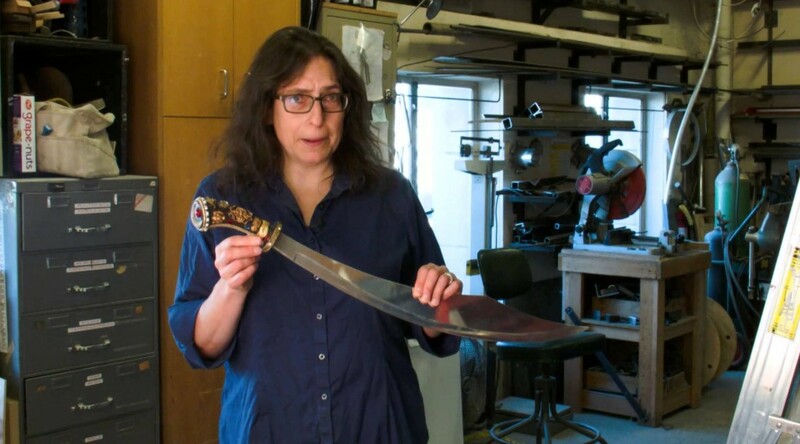 As the first woman to run the San Francisco Opera prop shop, Harrison, who’s now in her second season in that position, says that it took awhile for some people to get used to the idea of having her in charge. “And some are still getting used to it,” she admits. But while she was prepared for a certain amount of prejudice, there was one particular issue when she first started that caught her off guard. “The question asked was would I rather be called a ‘prop master’ or a ‘prop mistress,'” she says. Hear, hear. To all the prop masters of the world, male or female, have a Happy Propmasters Day tomorrow.